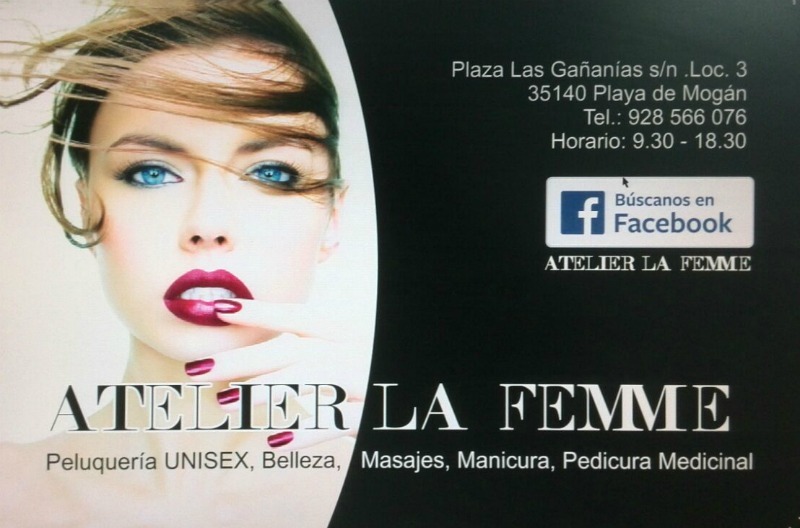 Atelier La Femme Beauty Salon is a top modern beauty & hair salon in Playa de Mogán. 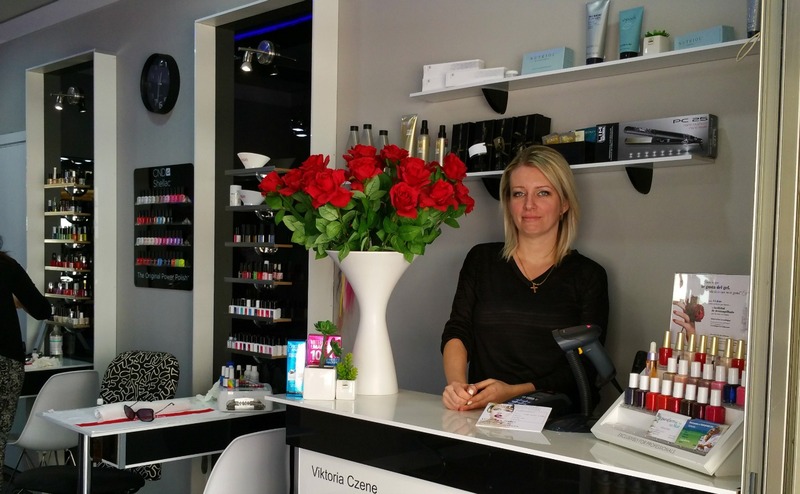 On entering the salon, you immediately get a feeling of professionalism and exclusivity. 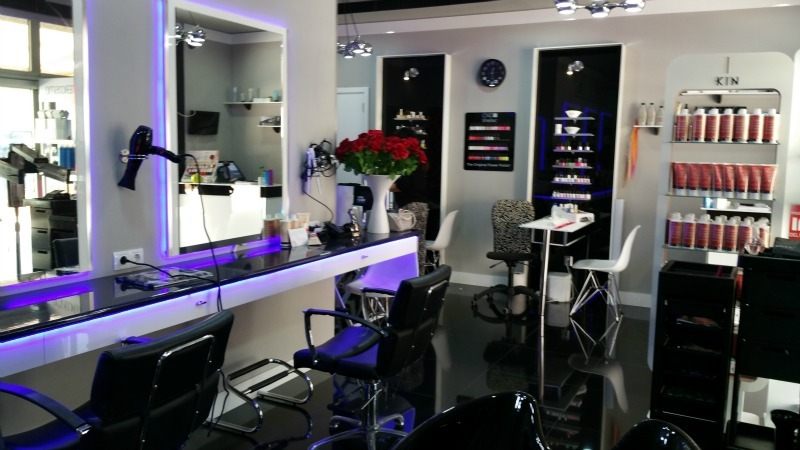 The clean lines and contrasts, the use of colours in combination with the ultra modern equipment, are a display of the salon’s mission statement when it comes to beauty and wellness treatment. ‘The customer is King or Queen!’ When you leave the atelier after your make-over you will certainly feel better about your new self. You will be pampered and transformed. Choose from simply a hair-cut or have your body revamped and nourished from head to toe. 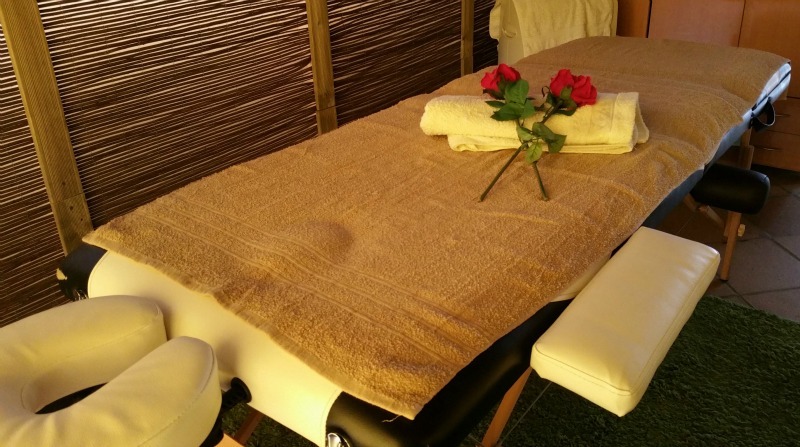 The Atelier La Femme offer everything from hair styling, manicure, facial massages and professional make-up to medical pedicure and full body massages. You can even book specialised skin, anti-ageing and hair-growth treatments with amazing before and after results. See these results on their FACEBOOK page. To ensure skin and hair are properly nourished, special water filters are installed to soften the pH-water level at Atelier. Only the very best hair and skin products are used. Brands like REDKEN and MONTIBELLO for hair. OPI, CND, SHELLAC and ESSIE for nails. 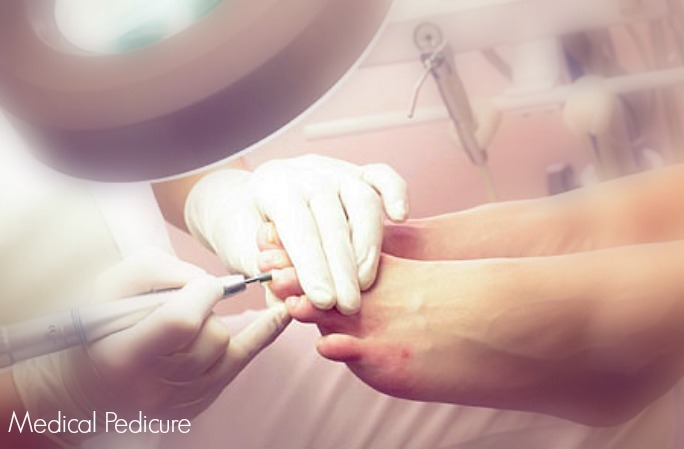 The medical pedicure equipment is imported from Switzerland. The professional make-up is from Cazcarra. 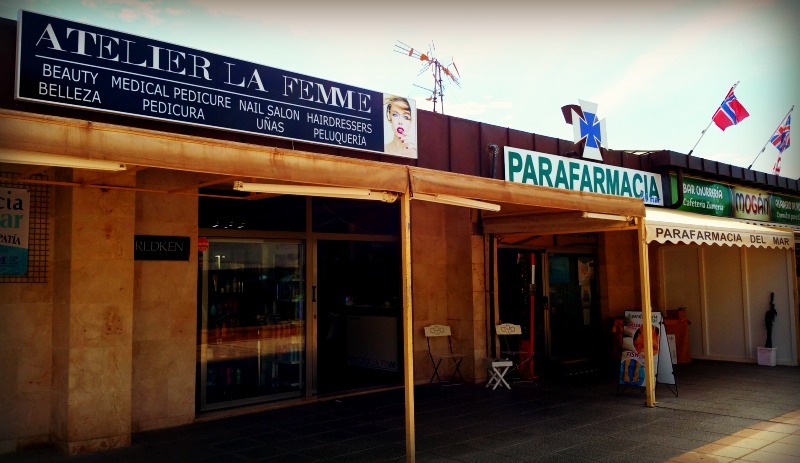 Next to the beauty salon you will find the over the counter chemist Parafarmacia del Mar. This belongs to the salon. Here you can buy all the necessary products to continue the effective beauty, health and wellness treatments at home. 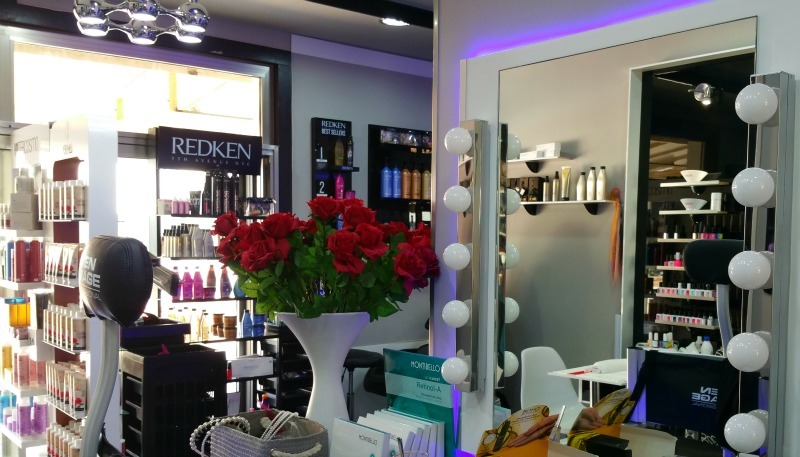 Many clients come to have their hair washed and blow dried every day of their holiday, as the salon has a special offer for holiday-makers who want to look their best every day of the week. Gran Canaria residents receive a special discount, too. 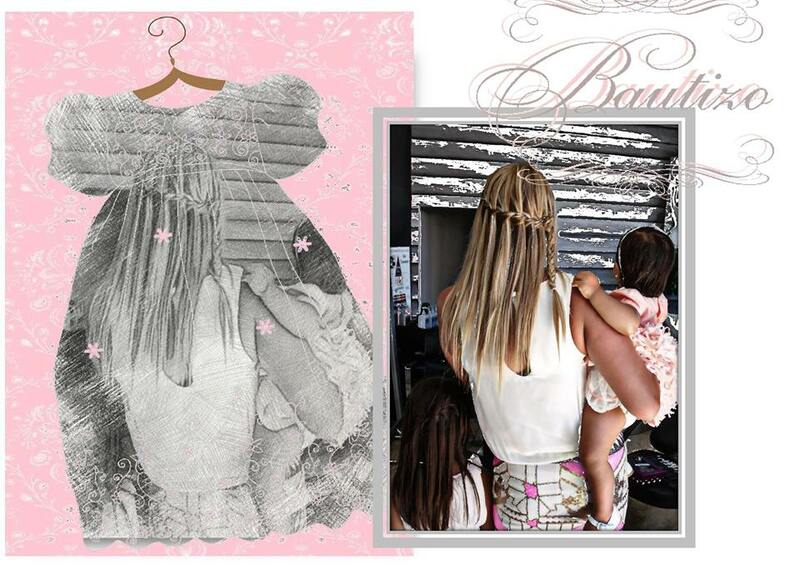 Your children are very welcome at this salon! 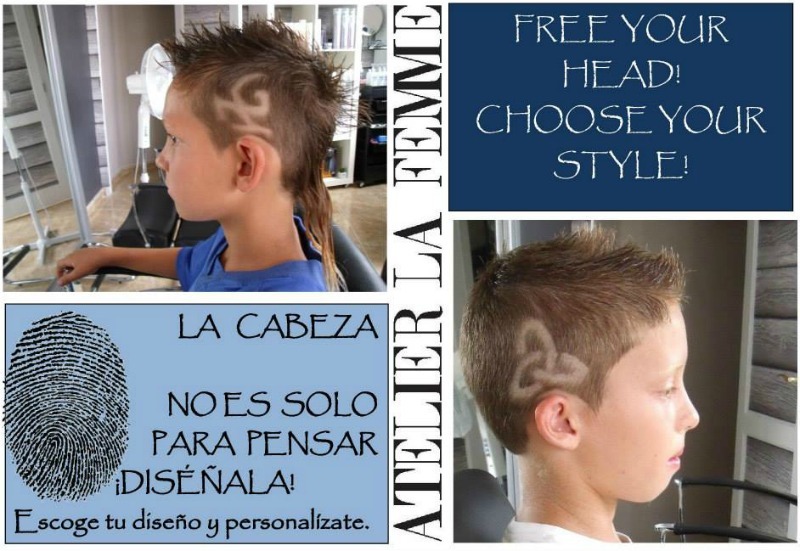 Kids can have all the same treatments as the adults, and even have special shaving patterns carved into their hair. 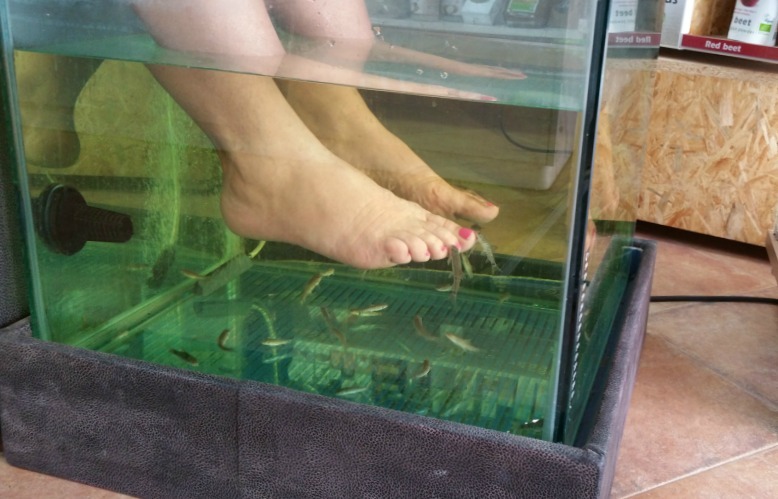 When Mom or Dad have their hair done, the children can have fun with a manicure, a fancy styling or experience the toe nibbling in the fish-spa next door. 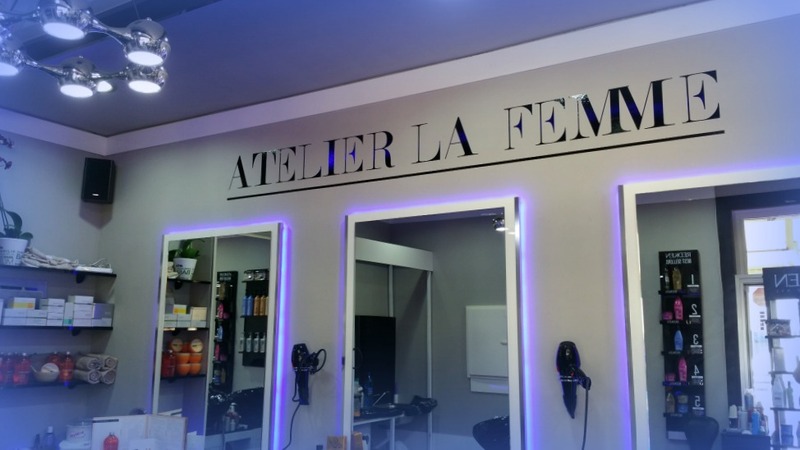 Viktoria opened the first Atelier La Femme in 2013 after realising that an exclusive hair and beauty salon was urgently needed in the Puerto Mogán area. Her warm and open personality, in combination with her eye for true beauty and her down to earth approach to business, conquered Mogán. Soon there was a solid clientèle of returning customers made up of residents and holiday makers. In 2015 the salon moved to this current, more central location in Playa Mogán. Taking over an already existent over the counter chemist. The old Atelier La Femme salon was converted to a barber and tattoo shop in 2016. DO YOU KNOW THIS PLACE? We would love to know your opinion and rating. It is super easy. Simply start typing telling us what you think in the box below and click on the stars to leave your ratings. Other visitors will be thankful and so will we!